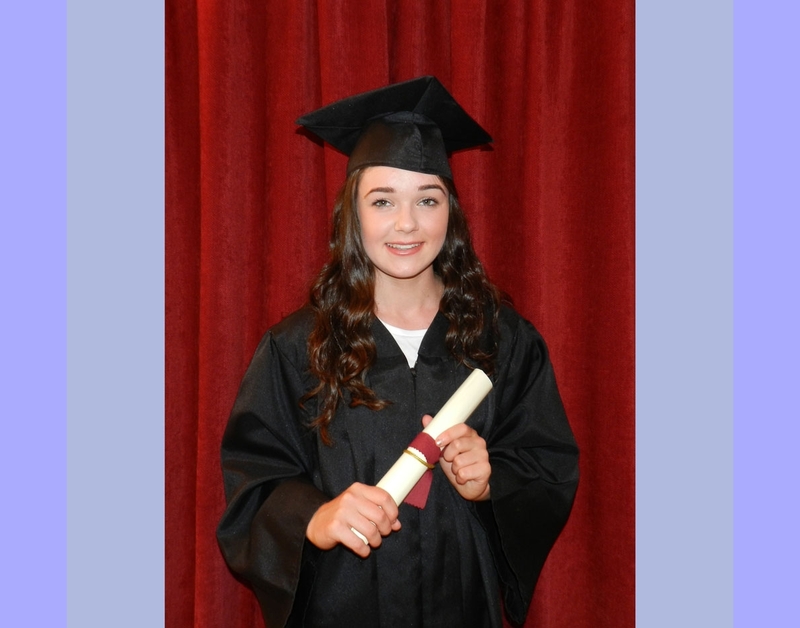 Congratulations to Yuchia Lee-Dignam of Edenderry, Co.Offaly who was awarded distinction in her Associate Diploma in Piano Performance from the London College of Music. 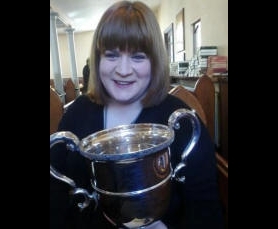 Congratulations to Jayne Horan of Moate, Co.Westmeath who was awarded distinction in her Associate Diploma in Vocal Performance from the London Victoria College of Music. 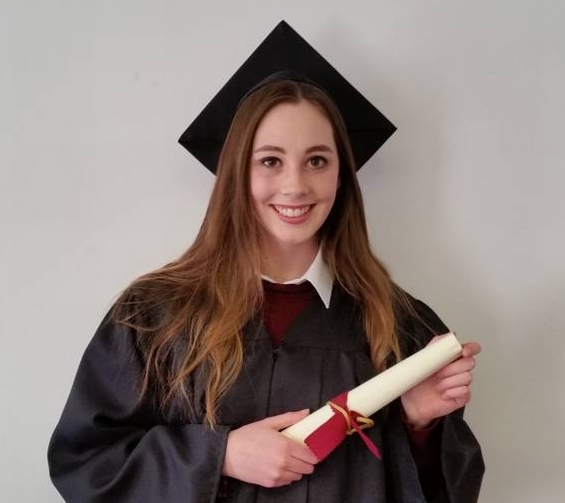 Congratulations to Grainne Curtin of Galway who was awarded distinction in her Associate Diploma in Vocal Performance from the London College of Music. 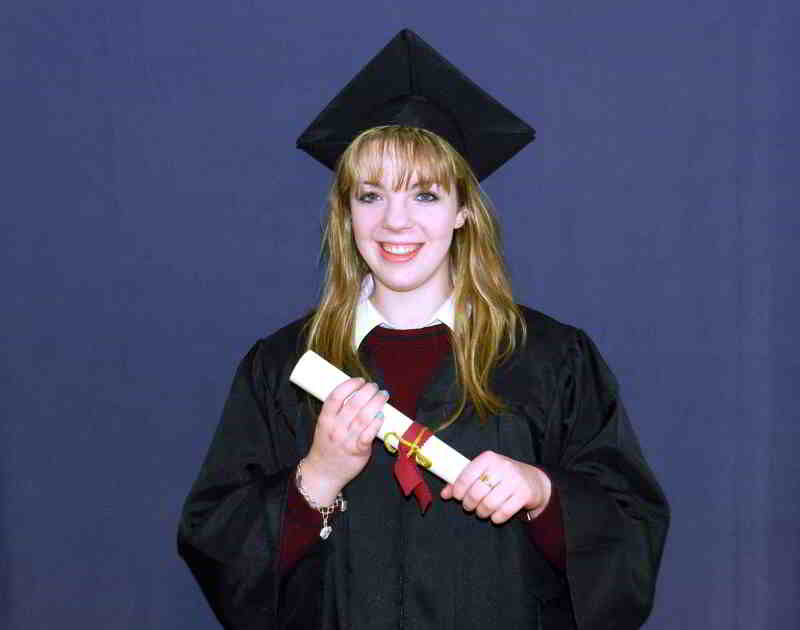 Congratulations to Aideen Scally of Moate, Co.Westmeath who was awarded distinction in her Associate Diploma in Vocal Performance from the London College of Music. 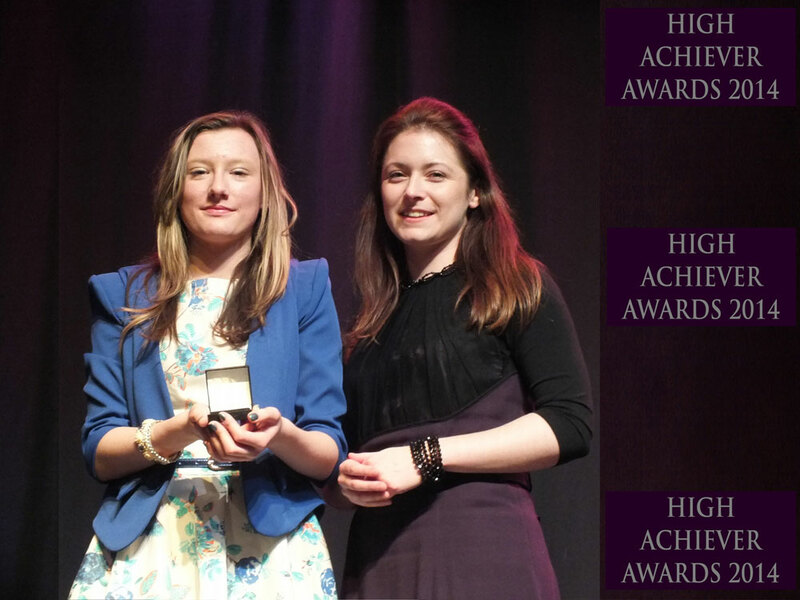 Congratulations to Aideen O'Halloran (Aged 16) of Birr, Co.Offaly who was chosen out of 45,000 students to receive a "High Achiever Award" for excellence in musical ability, and for outstanding performance in his recent Cello exam. 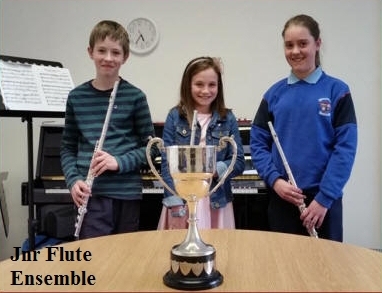 Congratulations to Grace Minnock (Aged 14) of Rahan, Co.Offaly who was chosen out of 45,000 students to receive a "High Achiever Award" for excellence in musical ability, and for outstanding performance in his recent Piano exam. 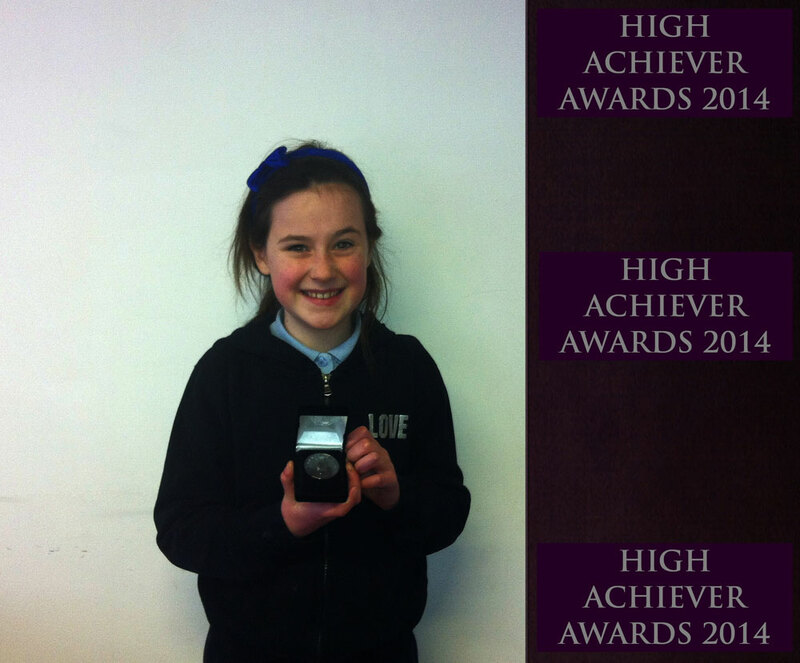 Congratulations to Lucy Fennelly (Aged 13) of Tullamore, Co.Offaly who was chosen out of 45,000 students to receive a "High Achiever Award" for excellence in musical ability, and for outstanding performance in her recent Singing exam. 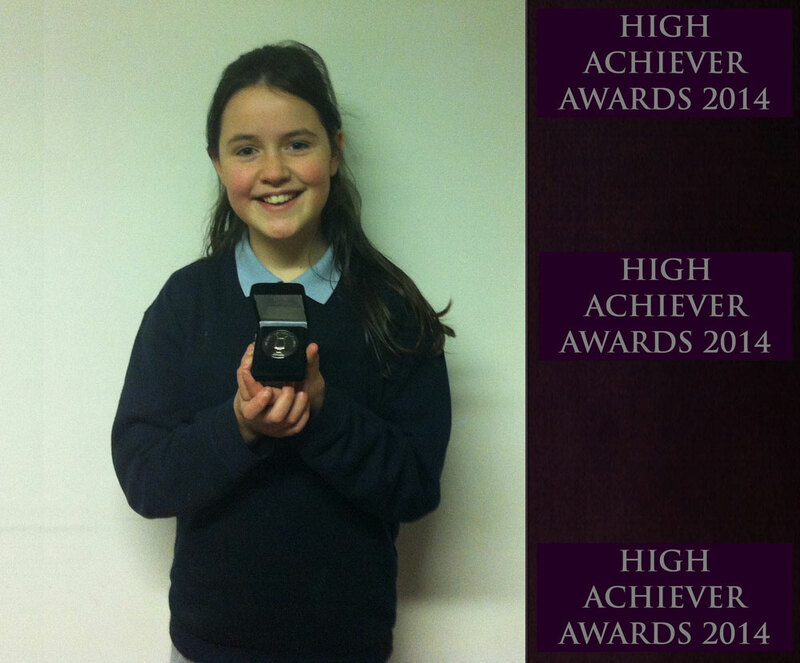 Congratulations to Caitlin Minnock (Aged 13) of Rahan, Co.Offaly who was chosen out of 45,000 students to receive a "High Achiever Award" for excellence in musical ability, and for outstanding performance in her recent Violin exam. Congratulations to Jennifer Dillon (Aged 12) of Athlone Co.Westmeath who was chosen out of 45,000 students to receive a "High Achiever Award" for excellence in musical ability, and for outstanding performance in her recent Violin exam. 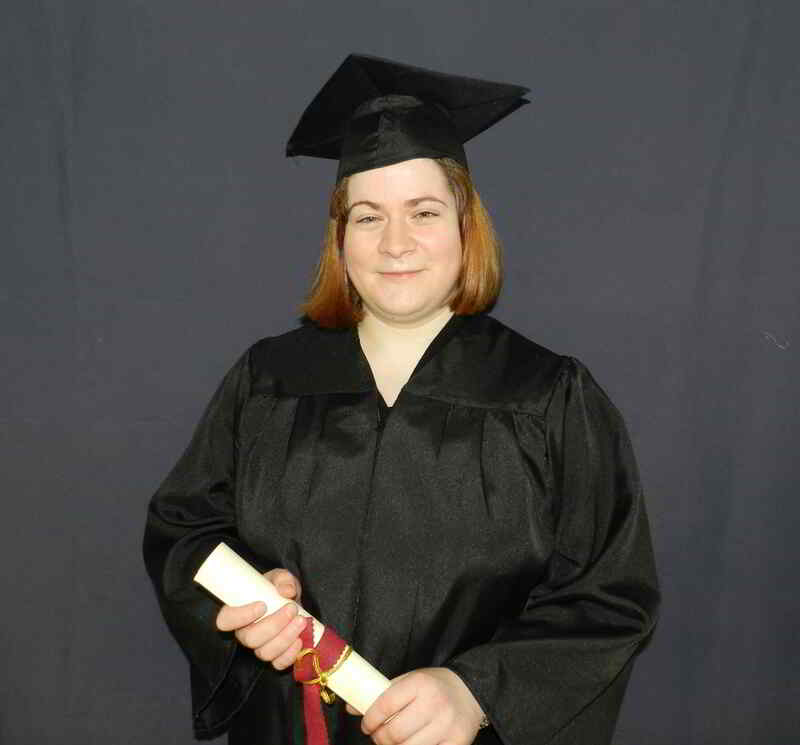 Congratulations to Jennifer Dolan of Moate, Co.Westmeath who was awarded distinction in her Licentiate Diploma in Piano Performance from the London Victoria College of Music. 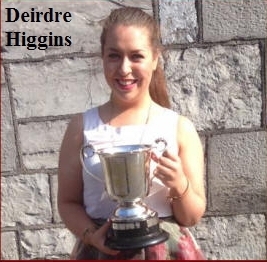 Congratulations to Deirdre Higgins of Moate, Co.Westmeath who was awarded distinction in her Associate Diploma in Vocal Performance from the London College of Music. 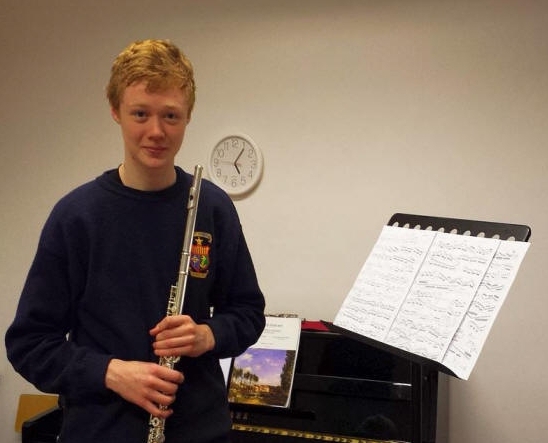 Congratulations to Cian Brady (Aged 11) of Moate, Co.Westmeath who was chosen out of 45,000 students to receive a "High Achiever Award" for excellence in musical ability, and for outstanding performance in his recent Piano exam. 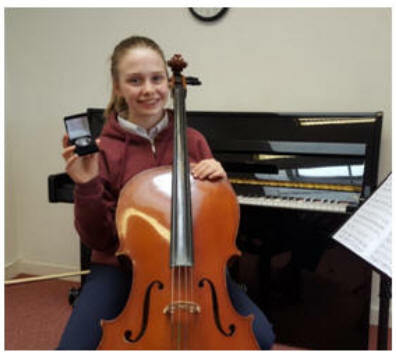 Congratulations to Lucy Fennelly (Aged 12) of Tullamore, Co.Offaly who was chosen out of 45,000 students to receive a "High Achiever Award" for excellence in musical ability, and for outstanding performance in her recent Cello exam. 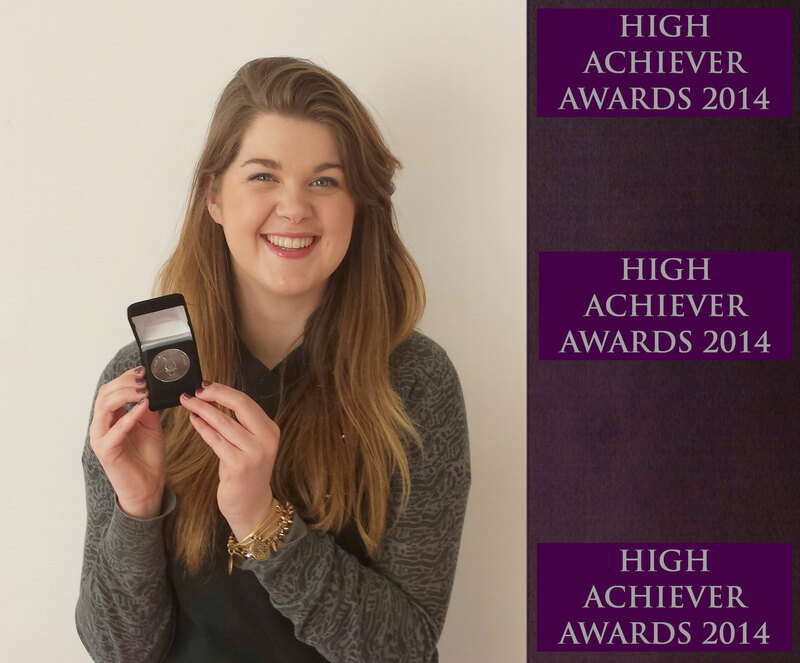 Congratulations to Lauren Watson (Aged 18)) of Moate, Co.Westmeath who was chosen out of 45,000 students to receive a "High Achiever Award" for excellence in musical ability, and for outstanding performance in her recent Singing exam. 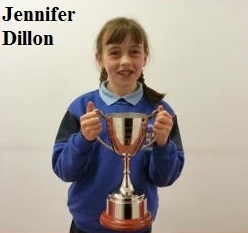 Congratulations to Jennifer Dillon (Aged 11) of Athlone Co.Westmeath who was chosen out of 45,000 students to receive a "High Achiever Award" for excellence in musical ability, and for outstanding performance in her recent Violin exam. 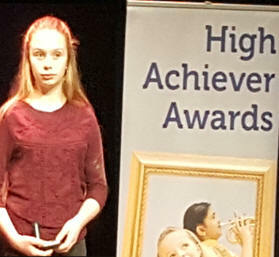 Congratulations to Grace Minnock (Aged 14) of Rahan, Co.Offaly who was chosen out of 45,000 students to receive a "High Achiever Award" for excellence in musical ability, and for outstanding performance in her recent Piano exam. 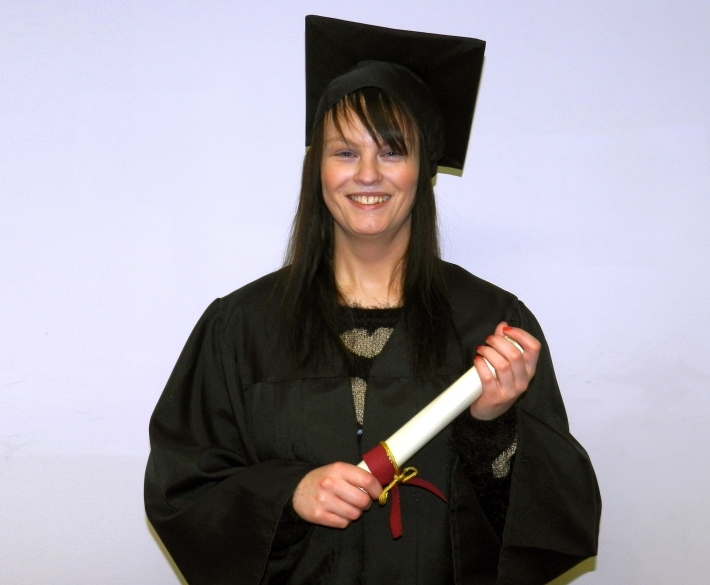 Congratulations to Avril Glynn of Mullingar, Co.Westmeath who was awarded distinction in her Licentiate Diploma in Vocal Performance from the London College of Music. 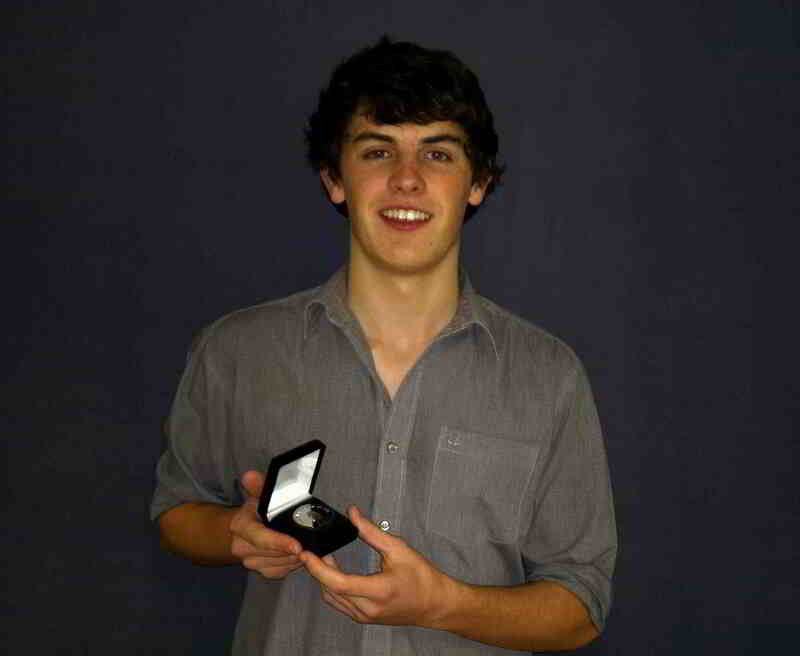 Congratulations to Joe Maher of Ferbane, Co.Offaly who was chosen out of 45,000 students to receive a "Permanent TSB High Achiever Award" for excellence in musical ability, and for outstanding performance in his recent Voice/Singing exam. 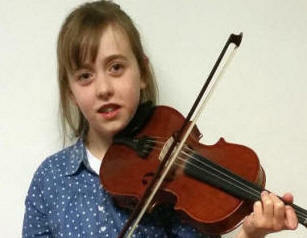 Congratulations to Jennifer Dillon (Aged 11) of Athlone, Co.Westmeath who was chosen out of 45,000 students to receive a "Permanent TSB High Achiever Award" for excellence in musical ability, and for outstanding performance in her recent Violin exam. 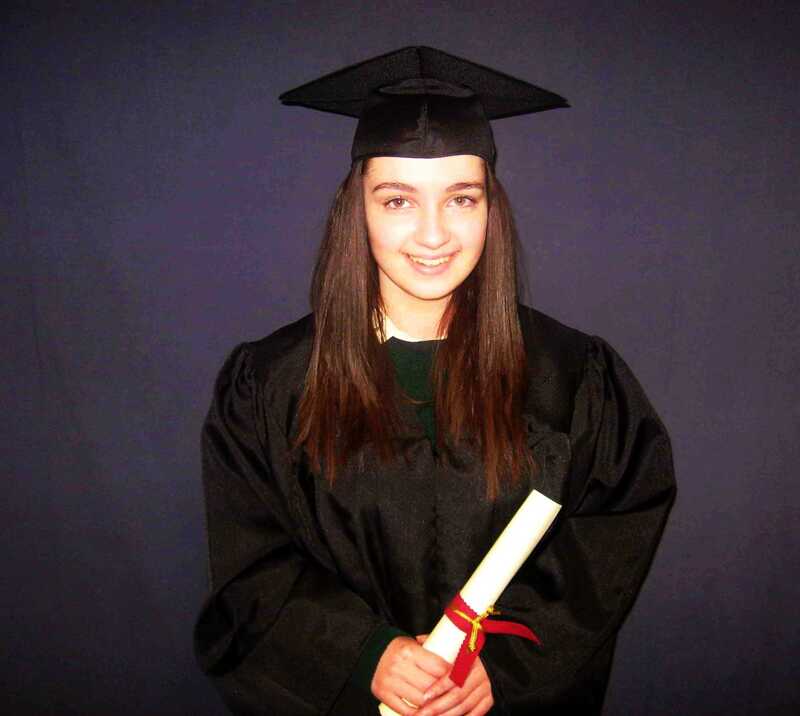 Congratulations to Roisin Ryan of Tullamore, Co.Offaly who was awarded distinction in her Associate Diploma in Voice/Singing from the London College of Music. 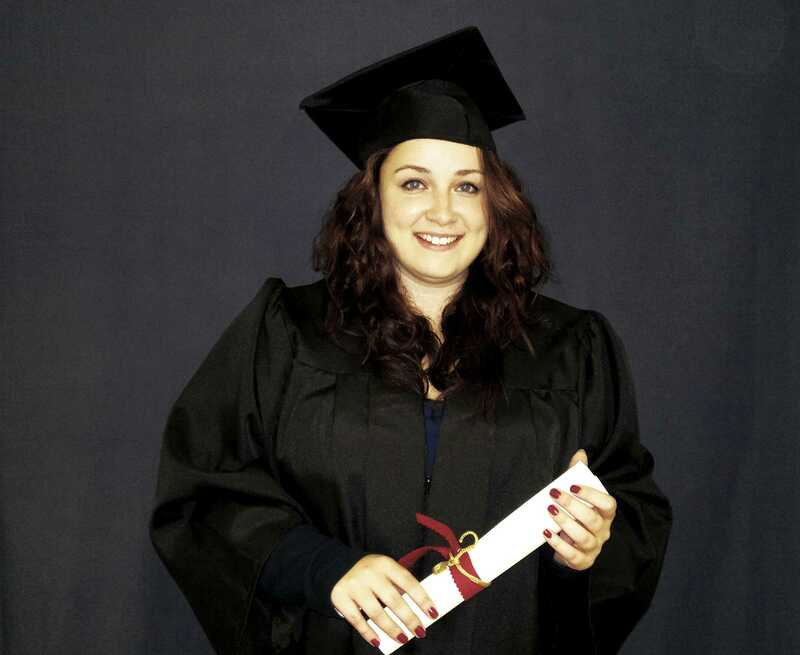 Congratulations to Bronagh Gallagher of Glassan, Co.Westmeath who was awarded distinction in her Associate Diploma in Voice/Singing from the London College of Music. 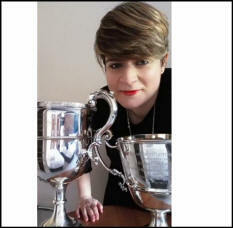 Congratulations to Dr. Laura Slattery of Tullamore, Co.Offaly who has been awarded the Prestigious Fellowship Award for Outstanding Vocal Performance from the London College of Music. 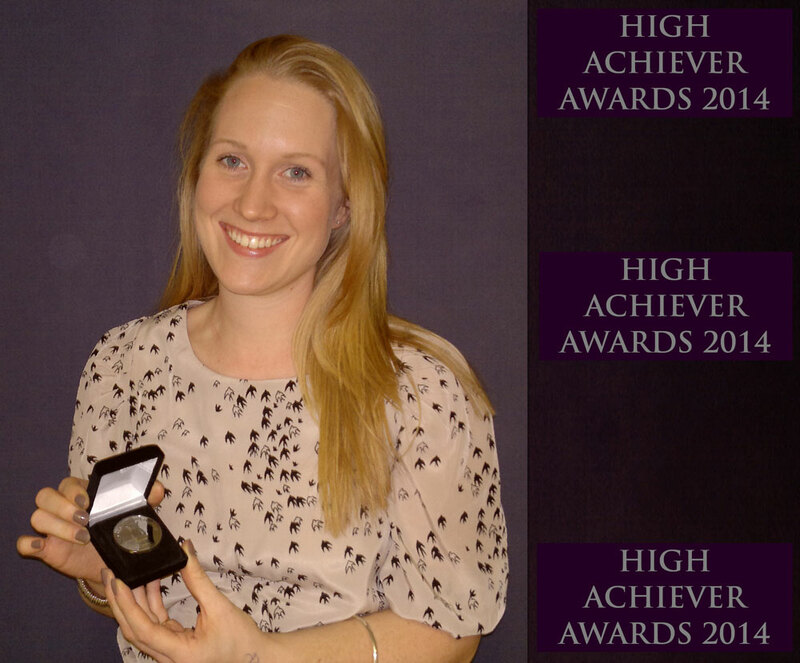 It was awarded to her by the University of West London and is a highly prestigious award and a very valuable recognition of her considerable talents and accomplishments as a student of the Academy. 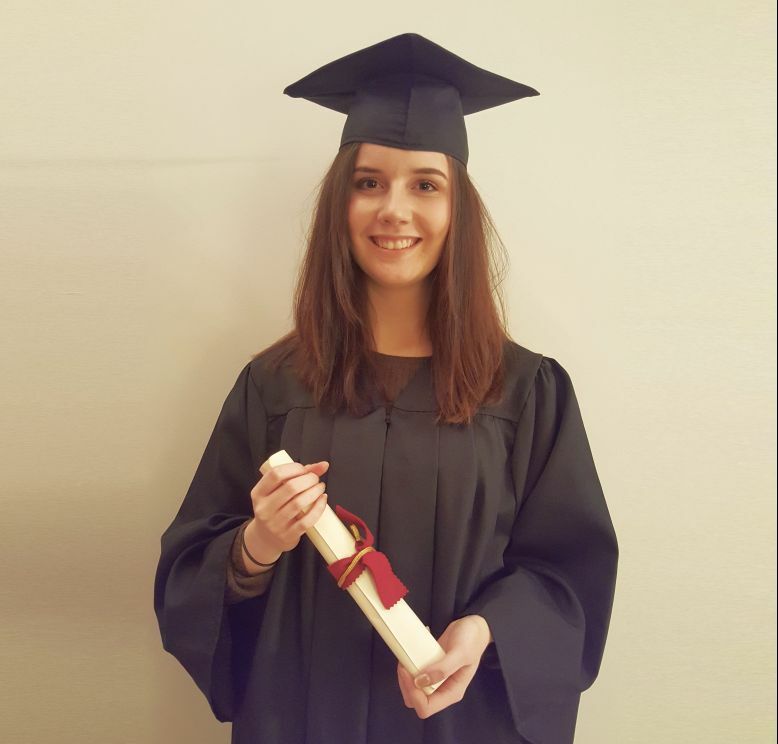 Congratulations to Laura Gilsenan of Tullamore, Co.Offaly who was awarded distinction in her Associate Diploma in Piano Performance from the London Victoria College of Music. 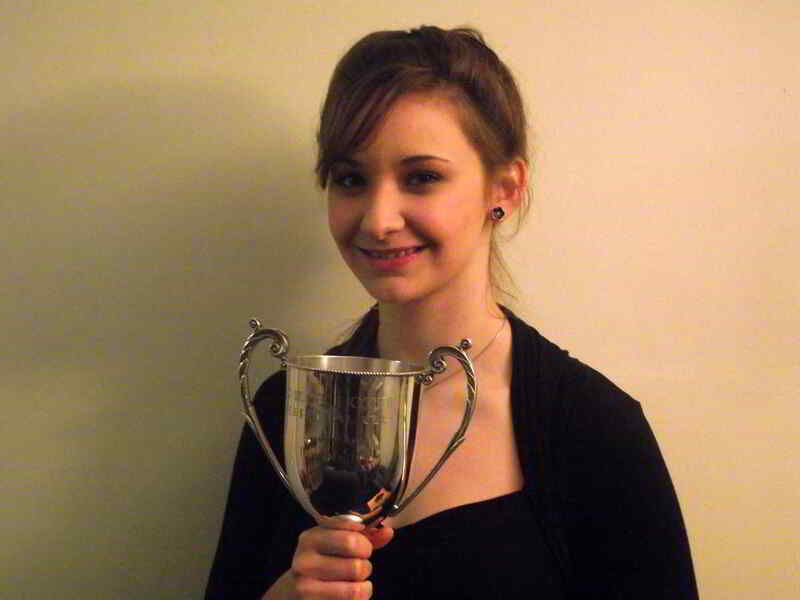 Congratulations to Katie Cogley of Tullamore, Co.Offaly who was awarded distinction in her Associate Diploma in Cello Performance from the London Victoria College of Music. 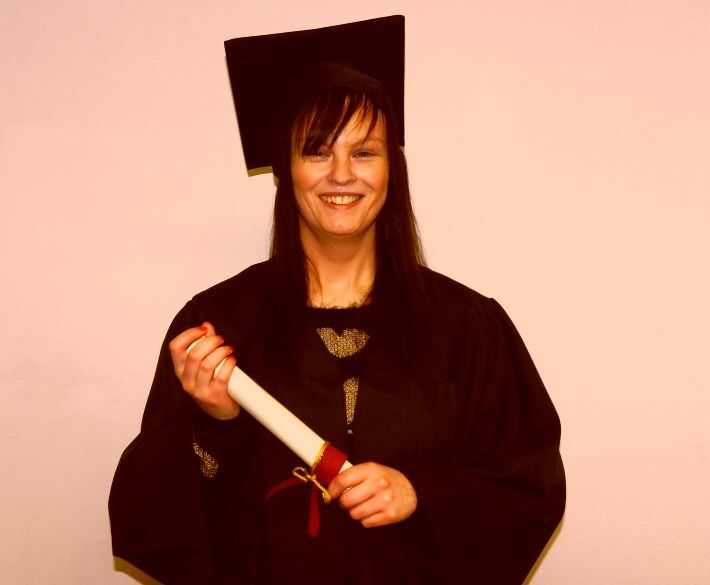 Congratulations to Avril Glynn of Mullingar, Co.Westmeath who was awarded distinction in her Associate Diploma in Vocal Performance from the London College of Music. 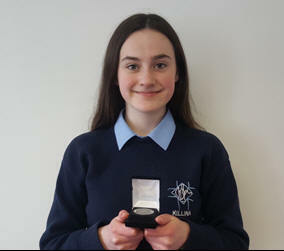 Congratulations to Aideen O'Halloran(Aged 12) of Birr, Co.Offaly who was chosen out of 45,000 students to receive a "Permanent TSB High Achiever Award" for excellence in musical ability, and for outstanding performance in her recent Cello exam. 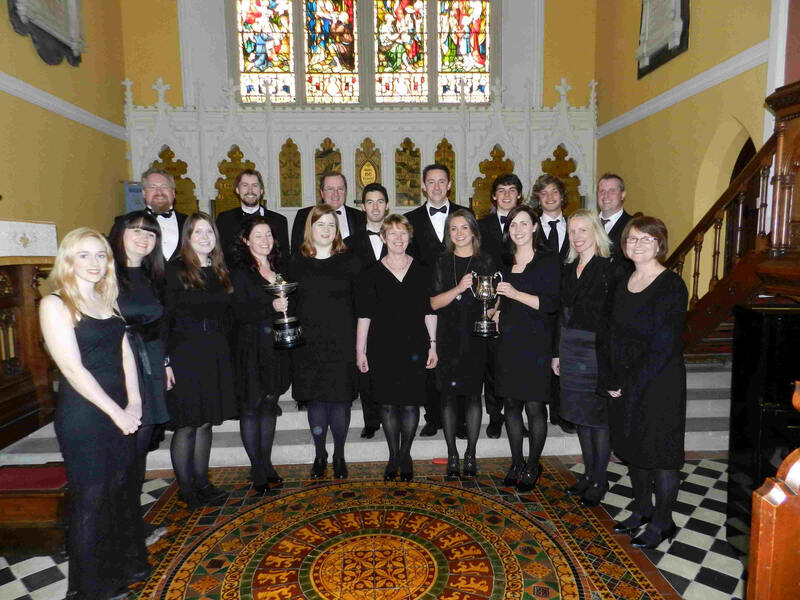 Congratulations to The Academy Chamber Choir, who were awarded First Place in the Sacred Music Competition, First Place in the Early Music Competition, Second Place in the Chamber Choirs Competition and Second Place in the coveted "National Choir of the Year 2014" Competition at Navan Choral Festival. 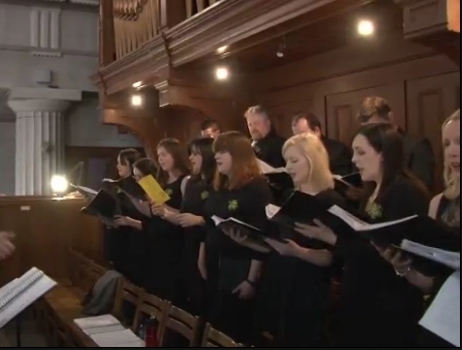 On Sunday 24th February 2014 at 11am on RTE1 Television, there was a special 1 hour Live broadcast given by Staff, Students and Friends of the Academy, and featuring the Academy Chamber Choir. 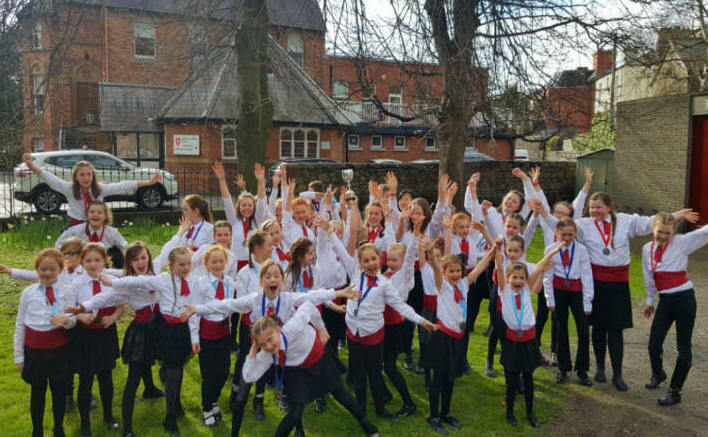 Congratulations to all who took part in this hugely successful event. 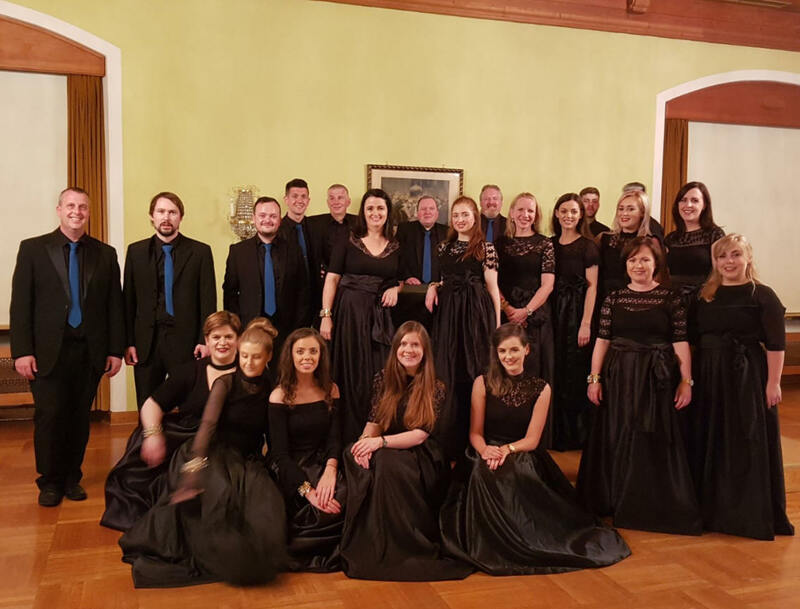 The Academy Chamber Choir proudly won third place in the recent North Wales Choral Festival fending off intense competition from England, Scotland and Wales in the birth place of choral music. 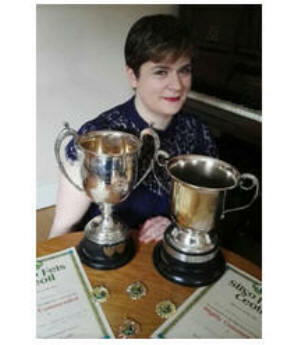 Congratulations to Mairead Fox of Moate, Co.Westmeath, who was awarded Distinction in her Associate Diploma in Piano Performance from the London Victoria College of Music. 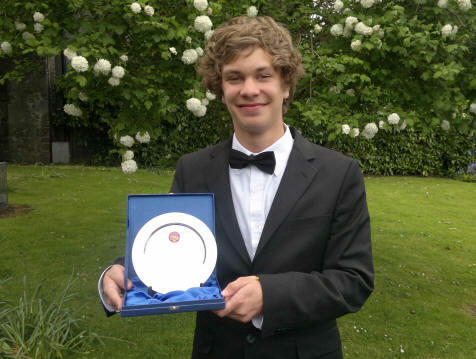 Congratulations to Jerome Scully of Tullamore, Co.Offaly, who was awarded Distinction in his Associate Diploma in Violin Performance from the London Victoria College of Music. 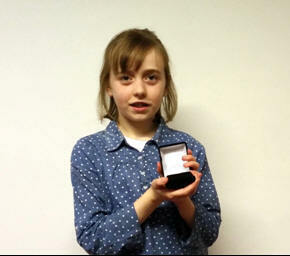 Congratulations to Caitlin Minnock (Aged 9) of Rahan, Co.Offaly who was chosen out of 45,000 students to receive a "Permanent TSB High Achiever Award" for excellence in musical ability, and for outstanding performance in her recent Singing exam. 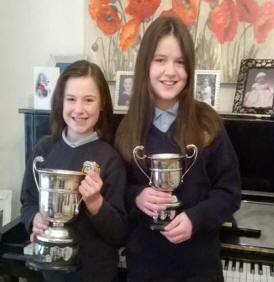 Congratulations to Grace Minnock (Aged 11) of Rahan, Co.Offaly who was chosen out of 45,000 students to receive a "Permanent TSB High Achiever Award" for excellence in musical ability, and for outstanding performance in her recent Piano exam. 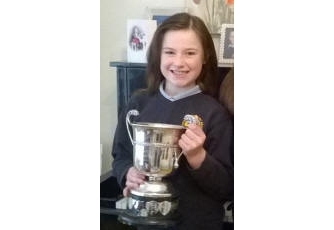 Congratulations to Olivia Digan (Aged 13) of Clara, Co.Offaly who was chosen out of 45,000 students to receive a "Permanent TSB High Achiever Award" for excellence in musical ability, and for outstanding performance in her recent Singing exam. 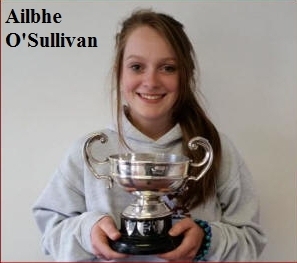 Congratulations to SarahGene Loughnane of Birr, Co.Offalywho was chosen out of 45,000 students to receive a "Permanent TSB High Achiever Award" for excellence in musical ability, and for outstanding performance in her recent Singing exam. 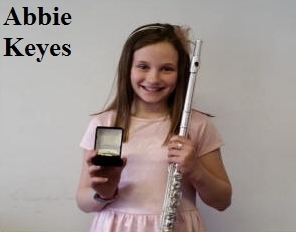 Congratulations to Roisin Ryan of Tullamore, Co.Offaly who was chosen out of 45,000 students to receive a "Permanent TSB High Achiever Award" for excellence in musical ability, and for outstanding performance in her recent Singing exam. 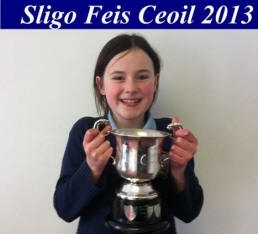 Congratulations to Caitlin Minnock of Rahan, Tullamore, who was awarded First Place in the Juvenile Solo Singing Competition at Sligo Feis Ceoil 2013. 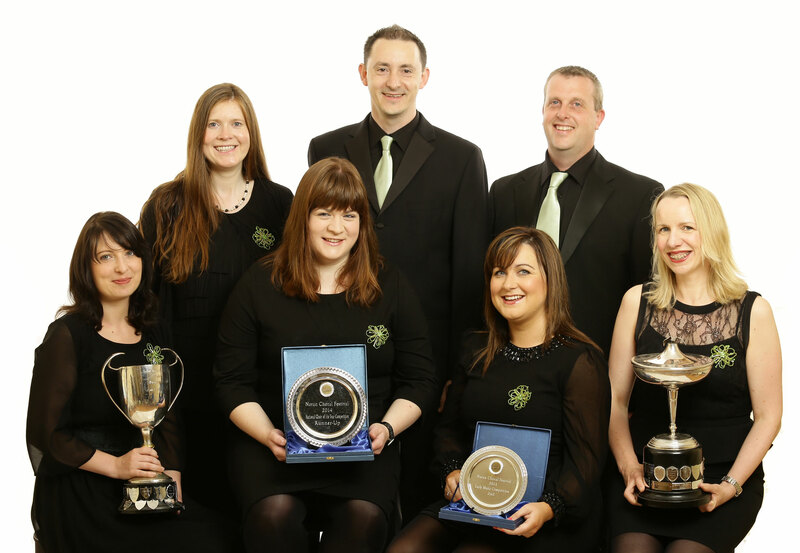 Congratulations to Laura Slattery of Tullamore, who was awarded First Place in the Italian Cup Solo Singing Competition at Sligo Feis Ceoil 2013. 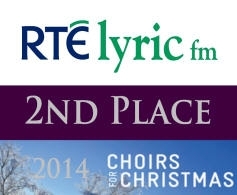 Congratulations to Tullamore Academy Chamber Choir on winning second place out of over 400 choirs in RTE Lyric FM's Choirs for Christmas Competition 2012. 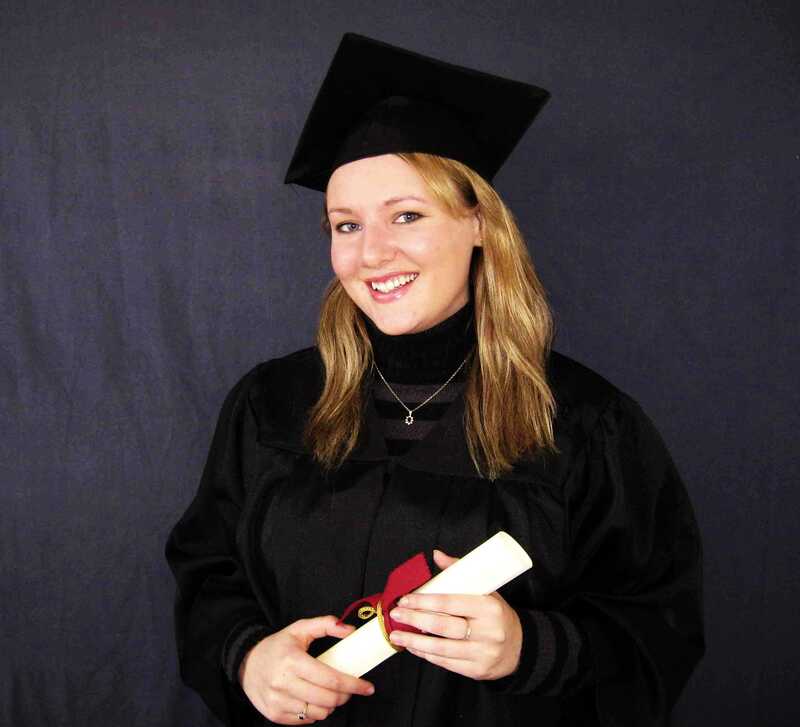 Congratulations to Laura Slattery of Tullamore Co.Offaly, who was awarded Distinction in her Licenciate Diploma in Singing from the London College of Music. 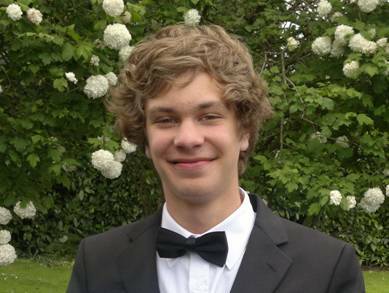 Congratulations to Wenceslas Ostasenka on securing a scholarship to further his vocal studies at one of Americas leading music conservatories Boston New England Conservatory. 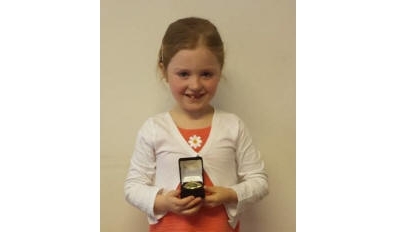 Congratulations to Caitlin Minnock (Aged 8) of Rahan, Co.Offaly, who was chosen out of 45,000 students to receive a "Permanent TSB High Achiever Award" for excellence in musical ability, and for outstanding performance in her recent Singing exam. 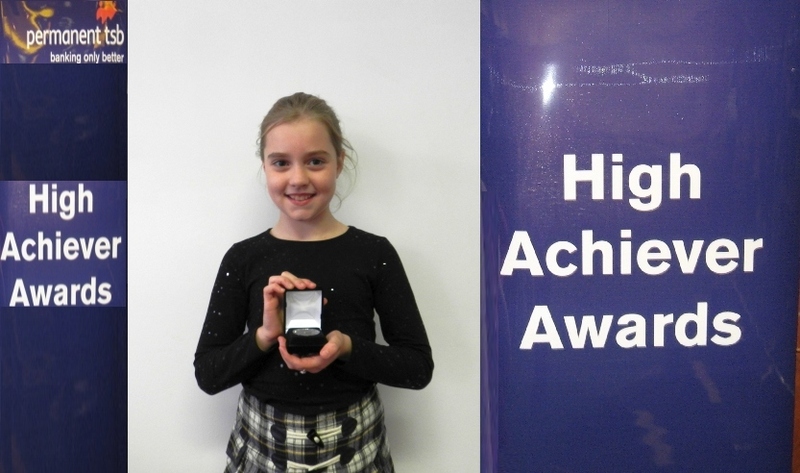 Congratulations to Jennifer Dillon (Aged 7) of Athlone, Co.Westmeath, who was chosen out of 45,000 students to receive a "Permanent TSB High Achiever Award" for excellence in musical ability, and for outstanding performance in her recent Violin exam. 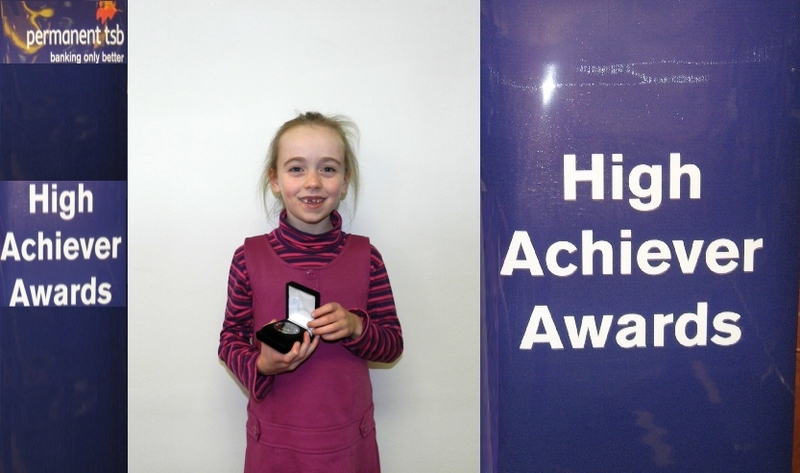 Congratulations to Emily Dillon (Aged 9) of Athlone, Co.Westmeath, who was chosen out of 45,000 students to receive a "Permanent TSB High Achiever Award" for excellence in musical ability, and for outstanding performance in her recent Piano exam. 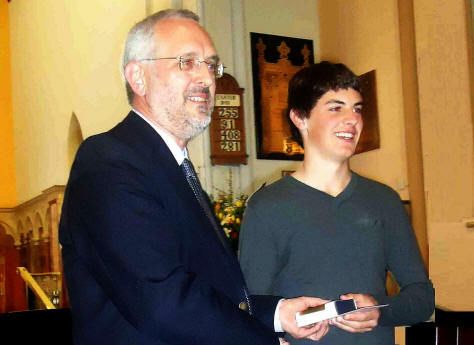 Congratulations to Diarmuid O'Brien of Castletown Geoghegan, Co.Westmeath, who was awarded his Associate Diploma in Pianoforte Teaching from the London Victoria College of Music. 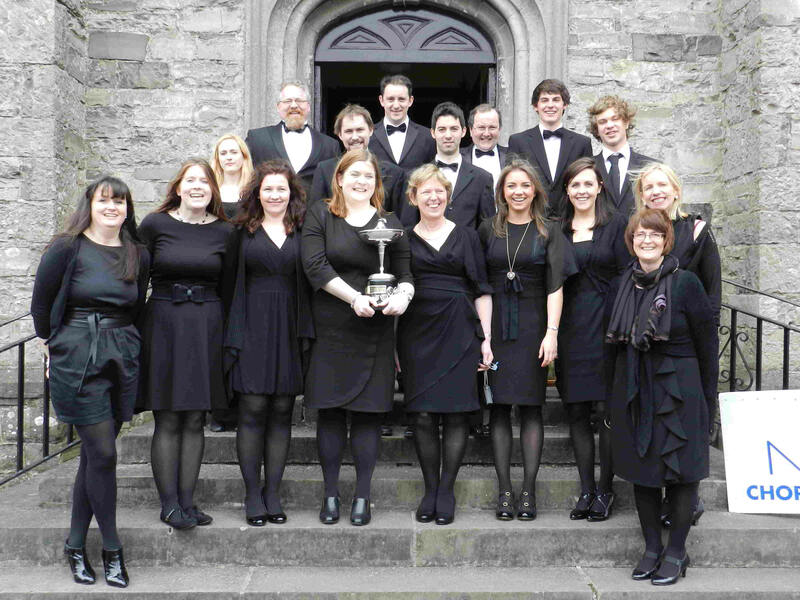 Congratulations to The Academy Chamber Choir, who were awarded First Place in the Early Music Competition at Navan Choral Fescitval 2012. 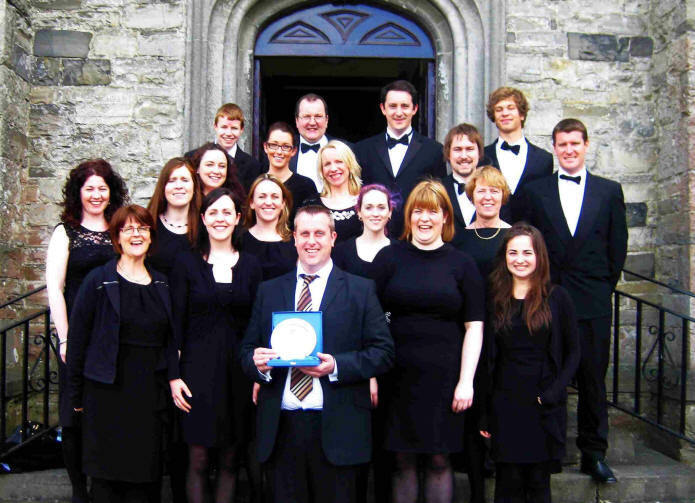 Congratulations to The Academy Chamber Choir, who were awarded First Place in the Sacred Music Competition at Navan Choral Festival 2012. 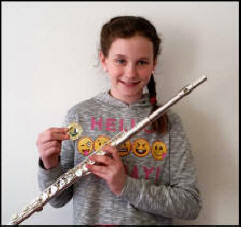 Congratulations to Alyssa Mandarano of Tullamore, who was awarded First Place in the Junior Solo Flute Competition at Arklow Feis Ceoil 2012. 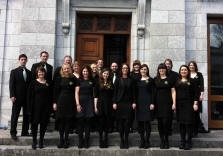 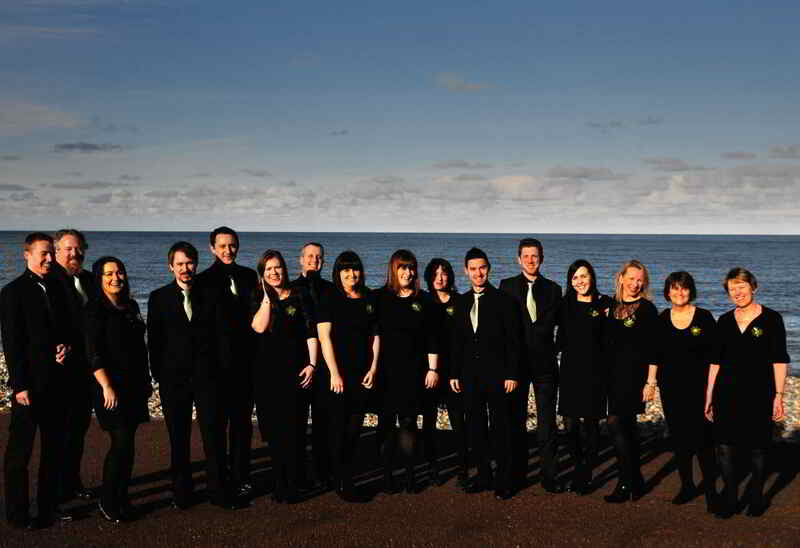 Congratulations to Moate Youth Choir - Director Ciaran Brady, who were awarded First Place in the Youth Choirs Competition at Limerick Choral Festival 2012. 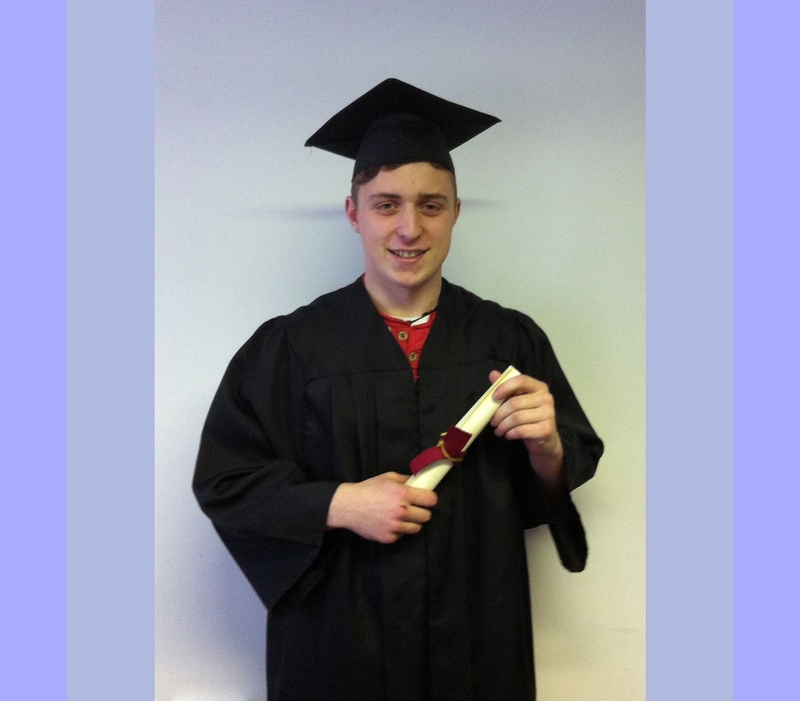 Congratulations to Paul Deegan of Moate Co.Westmeath, who was awarded his Associate Diploma in Pianoforte Teaching from the London Victoria College of Music. 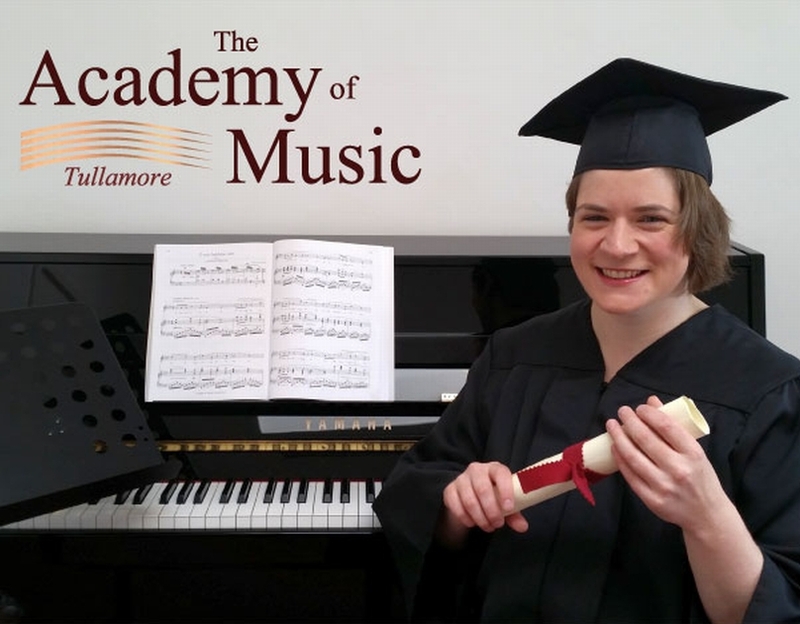 Congratulations to Caoilfhionn O'Donovan of Tullamore Co.Offaly, who was awarded her Associate Diploma in Pianoforte Teaching from the London Victoria College of Music. 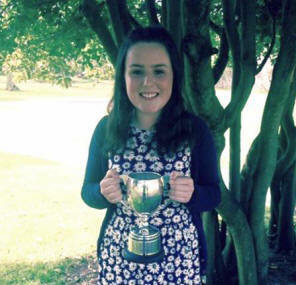 Congratulations to SarahGene Loughnane of Birr Co.Offaly, who was chosen out of 45,000 students to receive a "Permanent TSB High Achiever Award" for excellence in musical ability, and for outstanding performance in her singing exam. 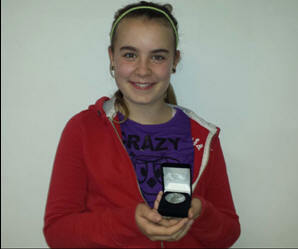 SarahGene received her award at a special ceremony before a distinguished group of guests in December 2011. 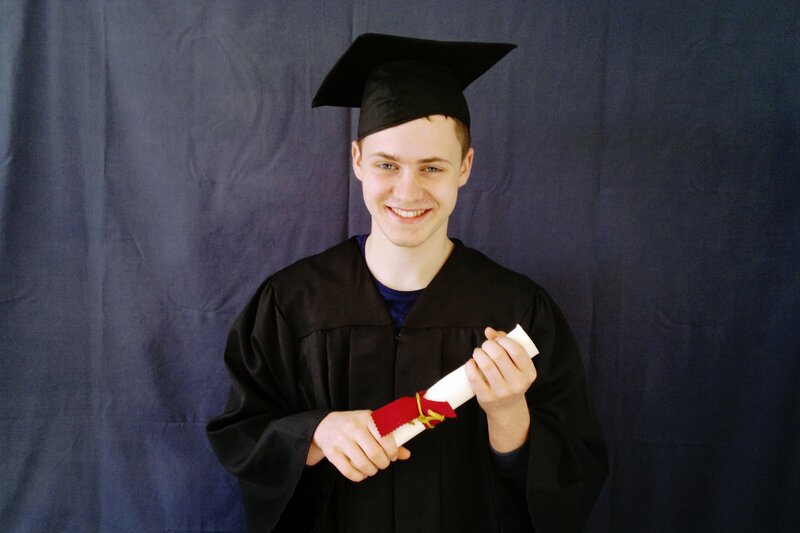 Congratulations to Sean Garvey of Glasson Co.Westmeath, who was chosen out of 45,000 students to receive a "Permanent TSB High Achiever Award" for excellence in musical ability, and for outstanding performance in his singing exam. 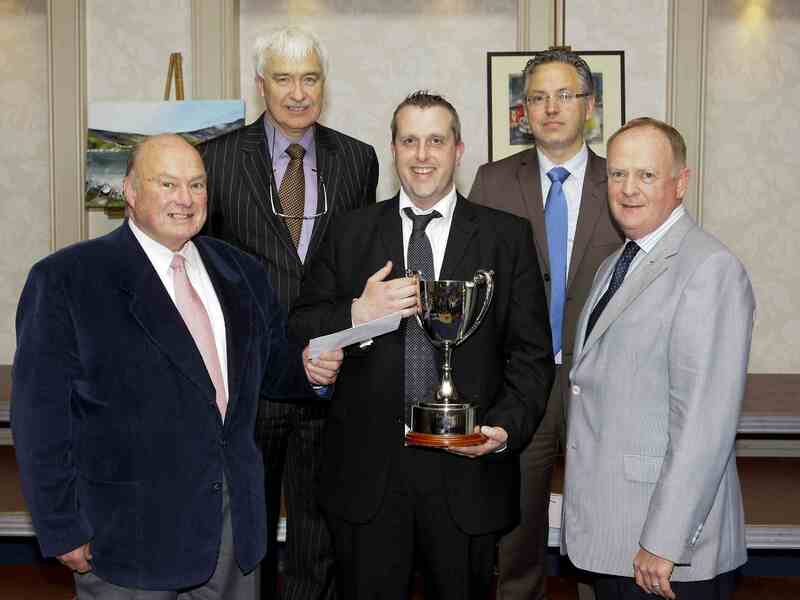 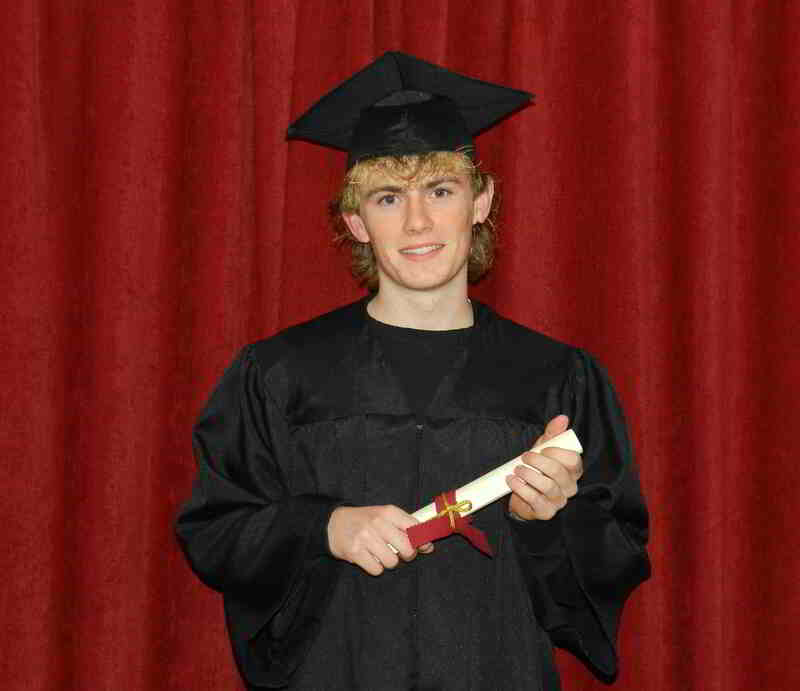 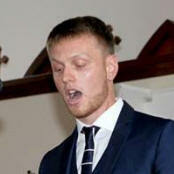 Sean received his award at a special ceremony before a distinguished group of guests in December 2011. 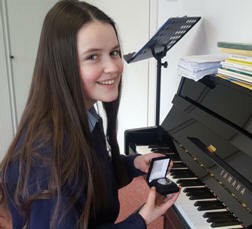 Congratulations to Camilla McLoughlan of Tullamore Co.Offaly, who was chosen out of 45,000 students to receive a "Permanent TSB High Achiever Award" for excellence in musical ability, and for outstanding performance in her singing exam. 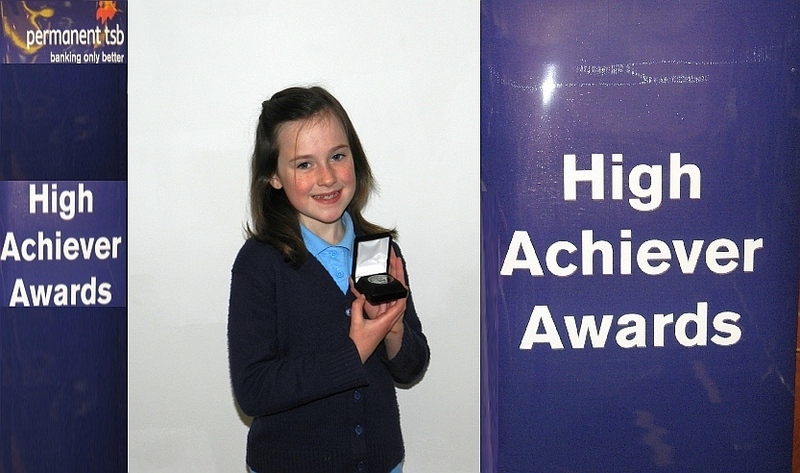 Camilla received her award at a special ceremony before a distinguished group of guests in December 2011. 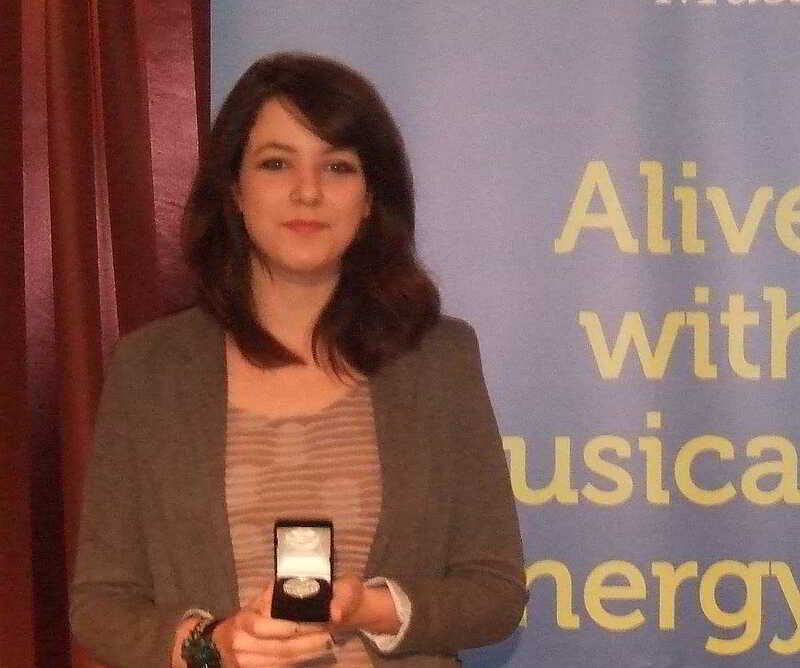 Congratulations to Nikki Burke of Tullamore Co.Offaly, who was chosen out of 45,000 students to receive a "Permanent TSB High Achiever Award" for excellence in musical ability, and for outstanding performance in her singing exam. 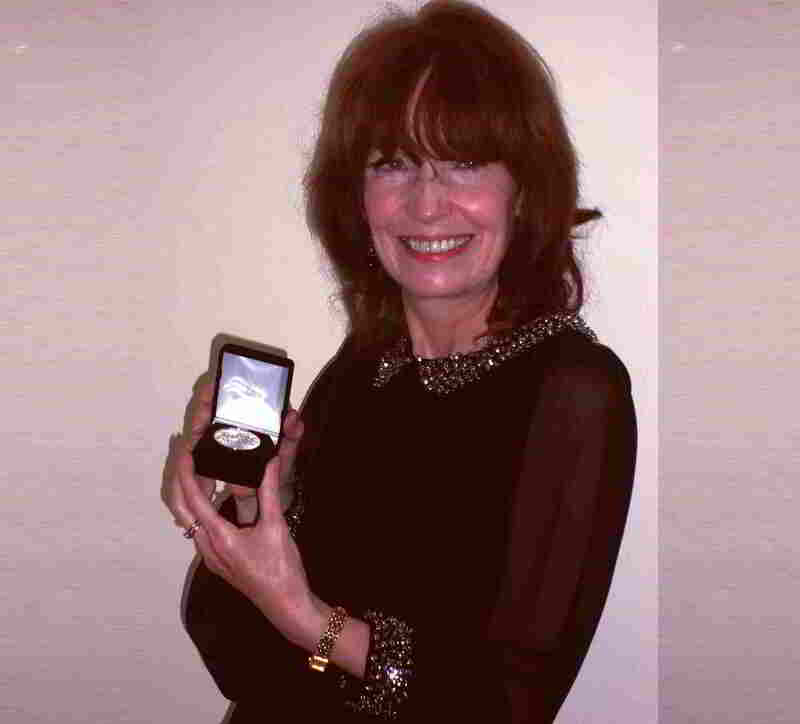 Nikki received her award at a special ceremony before a distinguished group of guests in December 2011. 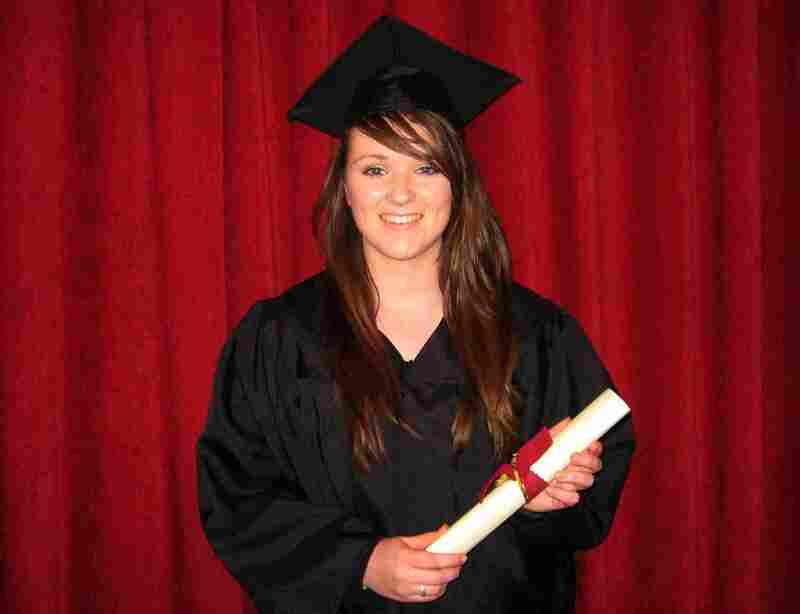 Congratulations to Audrey O'Meara of Birr Co.Offaly, who was awarded her Associate Diploma in Musical Theater from the London College of Music. 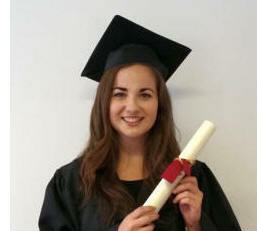 Congratulations to Laura Slattery of Tullamore Co.Offaly, who was awarded her Associate Diploma in Singing from the London College of Music. 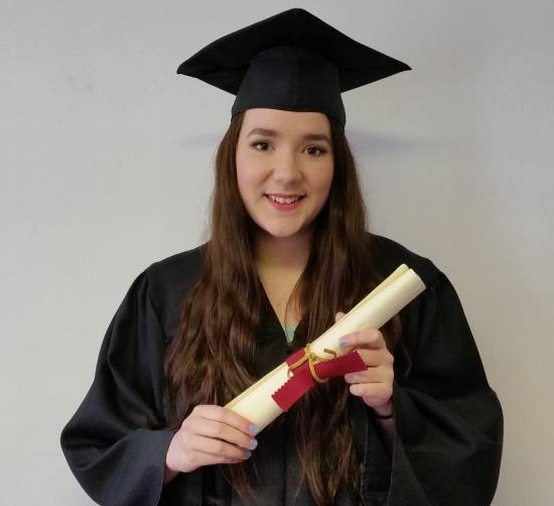 Congratulations to Maria Cosgrove of Ballycumber Co.Offaly, who was awarded her Associate Diploma in Musical Theater from the London College of Music. 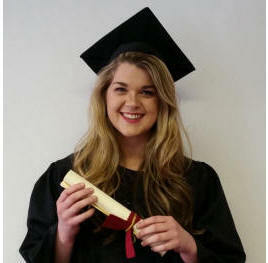 Congratulations to Nicole Robinson of Roscrea Co.Tipperary, who was awarded her Associate Diploma in Singing from the London College of Music. 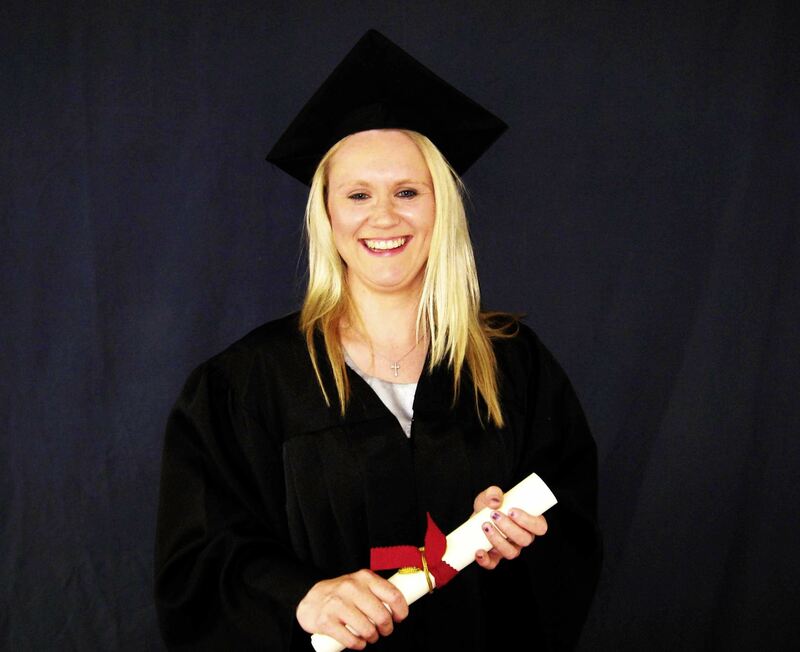 Congratulations to Paula Cosgrove of Ballcumber, Co.Offaly, who was awarded her Associate Diploma in Musical Theater from the London College of Music. 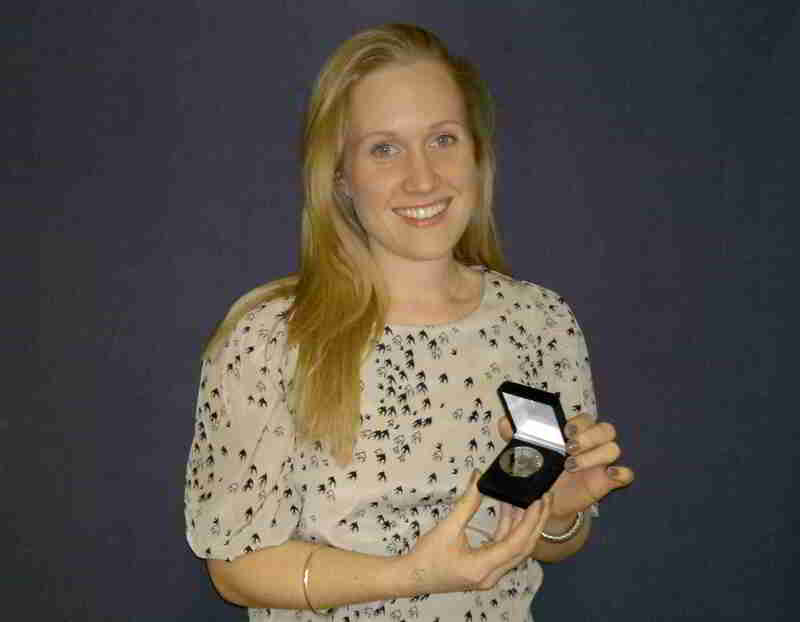 Congratulations to Aisling O'Neill of Moate Co.Westmeath, who was awarded her Associate Diploma in Pianoforte Teaching from the London Victoria College of Music. 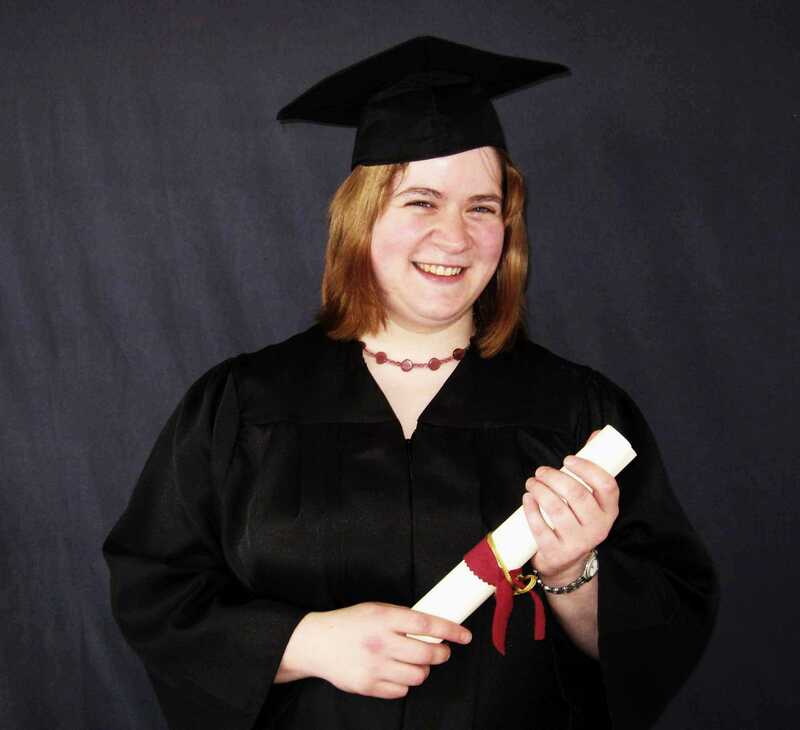 Congratulations to Amy Farrell of Moate Co.Westmeath, who was awarded Distinction in her Licentiate Diploma in Pianoforte Teaching from the London Victoria College of Music. 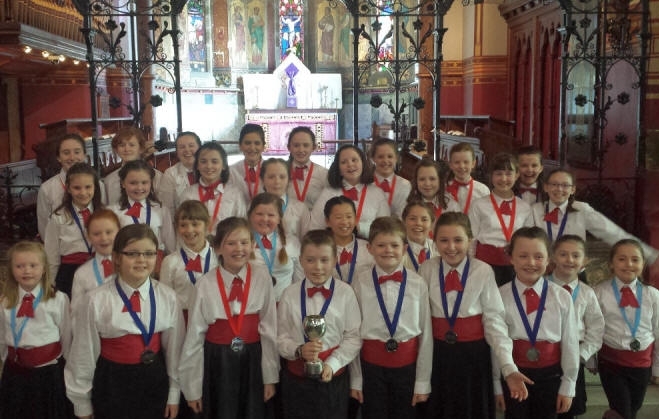 Congratulations to Sean Garvey of Glasson Co.Westmeath, who won First Place in the Junior Musical Theatre Solo Competition and Second Place in the Junior Vocal Solo competition. 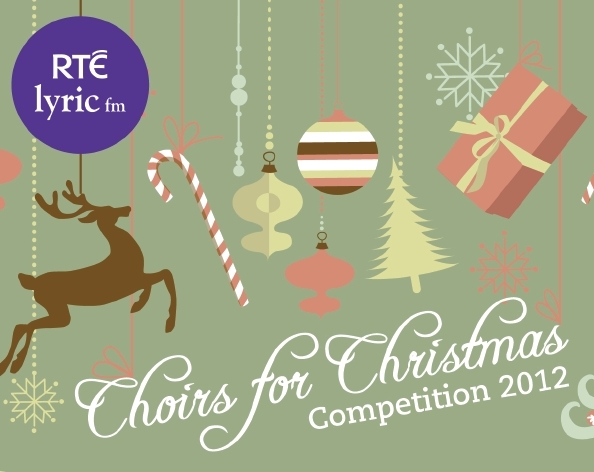 Sean also went on to be chosen as the RTE Lyric FM Most Promising Junior Vocal Soloist and was awarded the RTE Lyric FM Junior Vocal Bursary. 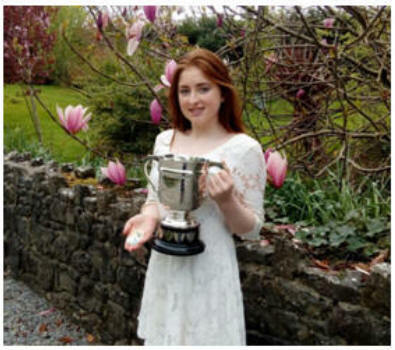 Congratulations to Winceslas Ostasenko of Mullingar, Co.Westmeath who won the "Junior Vocal Solo Cup ages 14-16" in the Navan Vocal Solo Competitions. 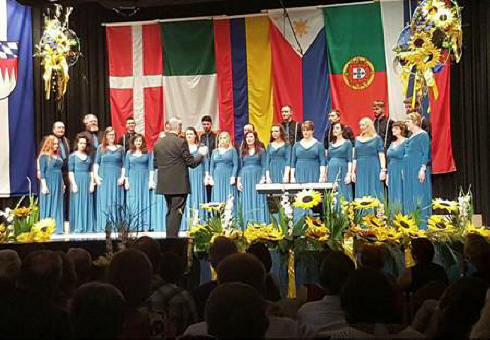 As a result of this Winceslas was awarded the opportunity to sing for 600 guests at the adjudication entertainment section of the Rotary National Choir of the Year competition at the Navan Choral Festival. 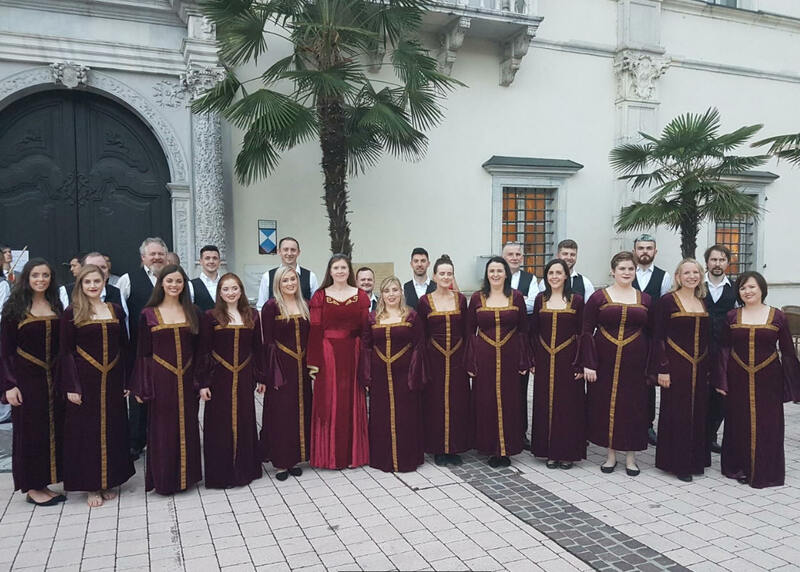 Congratulations to The Academy Chamber Choir who won Second Place in the Mixed Voice competition, a Distinction in the Early Music competition and a much coveted Third Place in the Sacred Music competition which was the largest competition of the day. 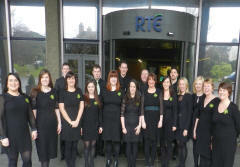 The choir were also awarded a Distinction in the Rotary National Choir Of The Year Competition.